Amongst all of the limo companies in Indiana, none like Elan Limousine offer the amazing rates whilst also offering premier service. Their fleet is made up of sophisticated vehicles that are decked out with the latest technological advancements. This company strives to ensure that every couple will have the smoothest ride on their way to their big day. With every detail of their service being carefully monitored, Elan Limousine are at the very top of limo rentals in Indianapolis, IN. 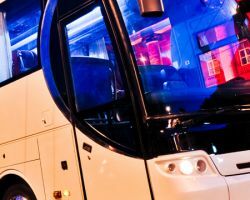 Whether you are hosting a bachelorette party, going to a reunion, or to your wedding itself, hiring or renting a vehicle to chauffeur you around can eliminate a lot of stress. 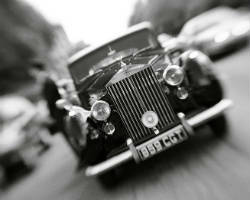 A Touch of Class offers beautifully maintained, modern vehicles that will make your arrival to any event a special one. They have luxury vehicles and elite cars that are affordable to rent and will certainly make a difference in your travels. Whether you want a new Cadillac or a classic Mercedes-Benz, this company has beautiful options for you. It seems that vintage vehicles have a certain amount of class built into them. If you would like to enjoy this style on your wedding day then booking a car from Antique Limousine is an absolute must. They have old school Cadillac and Rolls Royce options that will make sure that you arrive and leave in something special. The town cars they offer are immaculately maintained and all come with a chauffer who will be formally dressed for your special occasion. At Affinity Limousine & Tours they hit the big three factors every limo company should have: availability, reliability and professionalism. These highly trained chauffeurs are at your service all day, every day and want nothing more than to make your ride as smooth as possible. Affinity Limousine is dedicated to meeting each customer’s needs and they do it all. They conduct tours of the city, provide airport transportation and most importantly give the option for arriving in the most luxurious way to your wedding celebration. 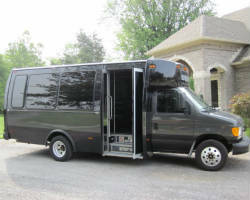 Fishers Limousine has absolutely unbeatable prices and that is enough to catch the attention of any couple. 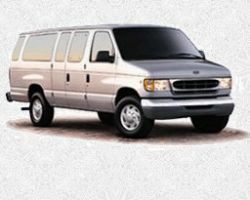 Once you have browsed their fleet and service options you will be convinced that they are providing a perfect Indianapolis limo service. 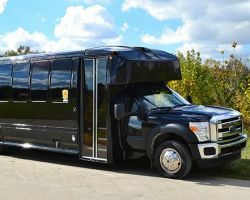 Not only do they provide limousine services but they take care of all the extras, such as security or loading up the back of the stretch limo with drinks for the journey. Whether you are looking for prom limos, airport transfers or your wedding dream car, they have it all here at Fishers. There is only one thing better than having a lavish stretch limo and professional friendly chauffeur, and that is if those things are cheap. The wedding plans usually put all of the importance on and around the venue but getting there is equally as important. Indianapolis Limos offers both affordable transportation and stunning vehicles. This company has great options for wedding town cars and all night party limos. 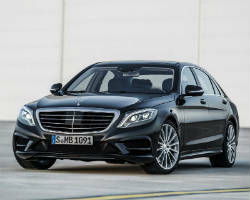 With their list of packages and special offers they truly are one of the very best offering limo services in Indianapolis. 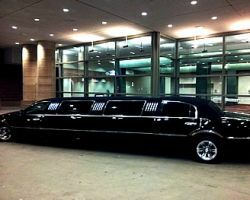 For limo rentals, Global Limos has the best and biggest selection of any car rental company in Indiana. They offer some of the biggest names in cars to their customers for only a small fraction of what it would cost to buy the car. If you want to feel the power behind the wheel then they have Ferrari and Lamborghini options or maybe you want something more sophisticated like one of their Aston Martin or Bentley options. Indianapolis Lx Limo has a beautiful fleet of vehicles that includes limousines, sedans, SUVs, party buses, vans, coaches and luxury vehicles. For any special event, arriving in a luxurious vehicle makes a statement. If you would like to make a splash at your next event then hiring a vehicle and chauffeur is a must. For a wedding, this is a great way for the couples to travel without worry. Enjoy your big day while this company worries about getting you there.